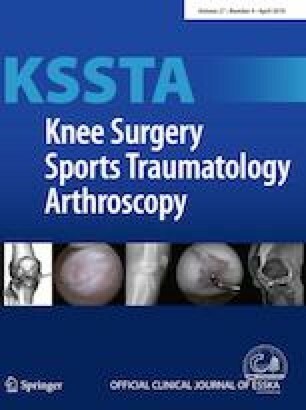 The aim of this study was to evaluate the effects of knee biomechanics with an irreparable lateral meniscus defect using the centralization capsular meniscus support procedure in the setting of the ACL-reconstructed knee in a porcine model. The hypothesis is the arthroscopic centralization will decrease the laxity and rotation of the ACL-reconstructed knee. Twelve fresh-frozen porcine knees were tested using a robotic testing system under the following loading conditions: (a) an 89.0 N anterior tibial load; (b) 4.0 N m internal and external rotational torques. Anatomic single-bundle ACL reconstruction with a 7 mm-diameter bovine extensor tendon graft was performed. A massive, middle segment, lateral meniscus defect was created via arthroscopy, and arthroscopic centralization was performed with a 1.4 mm anchor with a #2 suture. The LM states with ACL reconstruction evaluated were: intact, massive middle segment defect and with the lateral meniscus centralization procedure. The rotation of the ACL reconstructed knee with the lateral meniscus defect was significantly higher than with the centralized lateral meniscus under an external rotational torque at 30° of knee flexion, and under an internal rotational torque at 30° and 45° of knee flexion. There were no systematic and consistent effects of LM centralization under anterior tibial translation. In this porcine model, the capsular support of middle segment of the lateral meniscus using arthroscopic centralization improved the residual rotational laxity of the ACL-reconstructed knee accompanied with lateral meniscus dysfunction due to massive meniscus defect. This study quantifies the benefit to knee kinematics of arthroscopic centralization by restoring the lateral meniscal function. This study was funded by the Department of Orthopaedic Surgery at the University of Pittsburgh. Patrick Smolinski, Ph.D., has received supplies for other studies from Arthrex, Inc. Other authors have no conflicts to disclose. No ethical approval was required from IACUC. It is not applicable to this study.